You’re pregnant, it’s 3am and you’re wide away. Again. Sound familiar? 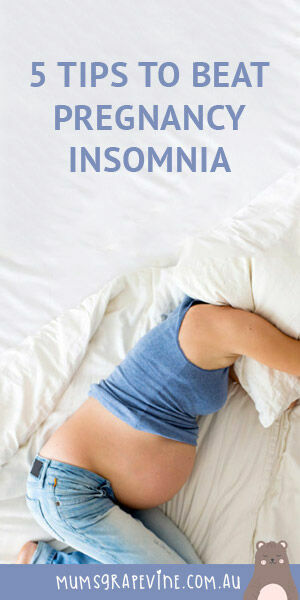 Say goodbye to sleep and hello to pregnancy insomnia. Seasoned mummas will tell you it’s your body getting your ready for middle-of-the-night feeds. But it’s pretty hard to get a good night’s rest with hormones running wild, legs getting restless, hips aching and a bladder constantly crying out to be emptied. 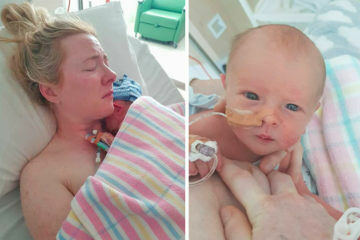 Mum’s Grapevine baby and toddler sleep consultant Tara Mitchell is a whizz at getting little ones snoozing better, and she also knows a thing or two about helping mums-to-be give pregnancy insomnia the flick. 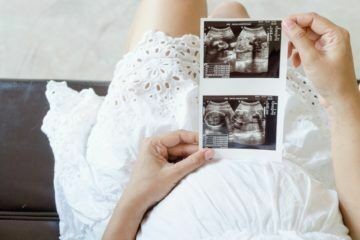 Unfortunately, along with the excitement of your beautiful bundle to be, you may also experience some rather unpleasant side effects of pregnancy as well, like pregnancy insomnia. 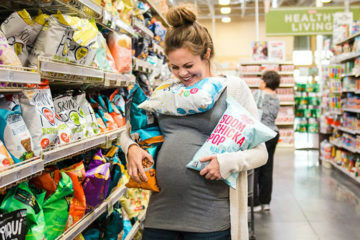 Since sleep is my thing, I thought I would take some time to share with you some tricks to encourage better sleep especially if you’re suffering from pregnancy insomnia. Firstly, minimising screen-time prior to bed is such an important measure when it comes to helping achieve better sleep. The blue light emitted by screens interferes with our body’s ability to release the appropriate amounts of the hormone melatonin. This is the hormone that causes drowsiness and is key to our body’s ability to wind down and prepare for sleep. I would cut out screen time for at least an hour prior to bedtime. If you have a lot on your mind before bed, being on emails or running through mental lists while in bed can really keep you alert and less likely to relax into a good sleep. I recommend writing a list in a room other than the bedroom prior to heading off to bed. Out of sight out of mind. 3. Bedtime routines aren’t just for kids! Keep your bedtime routine and the time you go to bed the same as much as you can. By creating routines and patterns, you allow your body to become accustomed to the wind-down and in turn, there’s a sub-conscious realisation that sleep is impending. ‘I just need a minute to sit down and then I will be good to go again’. If you are inclined to rest for long periods in front of the television or even doze on the couch before bed, there’s a good chance your appetite for sleep will be hindered. You’re much better off staying engaged and having an early bedtime than dozing for 5-10 minutes and subsequently not feeling tired for another couple of hours or more. I know this can be hard to control when you’re in the grips of insomnia but keep this in mind when thinking about a time for bed. The moment it gets too late you can essentially miss the bus for sleep and become wired making it much harder to wind down. Hang in there, the struggles will all be worth it!